Homespun Stitchworks..... For the love of vintage: My vintage inspiration for today..... wild flowers! My vintage inspiration for today..... wild flowers! I really am enjoying doing work for publication at the moment. The joys of creating something new and hopefully pleasing to those who want to recreate one of my designs. Although to date we have not had much of a summer, you can not argue the fact that with the rain the gardens are stunning. 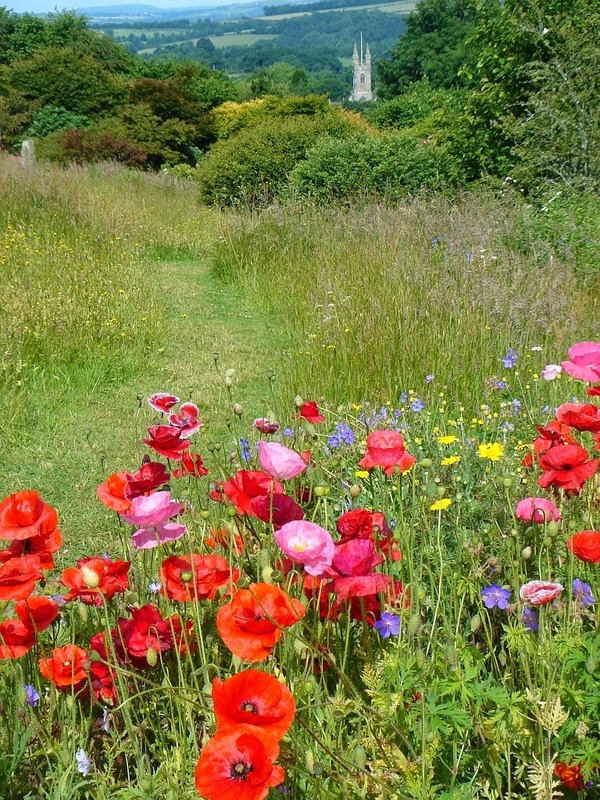 If you drive around the country lanes you see wonderful wild flowers in abundance. Poppies, daisies, bluebells, cow parsley, fox gloves and dandelions blowing around in the breeze and it is a great source of inspiration that I long to replicate a little. I have picked a few wild flowers to really look and study them, this way I can decide on the best little tiny stitches that would do them justice on vintage linen. Fingers crossed that we get a dry and warm spell, I really do not mind watering the garden and would love to sit out there and take in the scents of the garden.